Photo Gallery-There Ain't No Flies On Us! 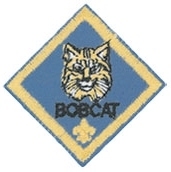 The first rank that EVERY boy MUST earn when entering the Cub Scouting Program is the Bobcat rank. Learn and say the Scout Oath, with help if needed. Say the Cub Scout Motto. Tell what it means. Show the Cub Scout Salute. Tell what it means. With your parent or guardian, complete the exercises in the pamphlet How to Protect Your Children From Child Abuse: A Parent’s Guide—Bobcat Requirements. 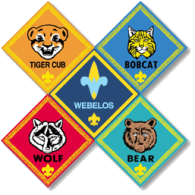 The above items are the basic information that ALL Cub Scouts must learn, which is why EVERY boy who enters into Cub Scouting MUST earn the Bobcat Badge. He only needs to complete the course once in his Cub Scout career.